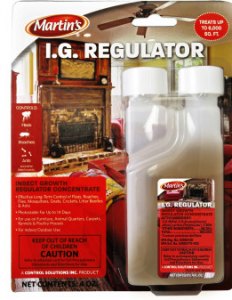 Need information on Taxidermy Shop insecticide for hide beetles and other insects which frequent trophy rooms. Tim’s Taxidermy. If you review our HIDE BEETLE article, you’ll see we have several options listed. Here’s a summary of what you can do. If the area is small, BEDLAM PLUS aerosol will do the job at a reasonable cost. It can treat 800 sq/ft for a good 2-3 months once the problem is under control. Initially you should treat more frequently; once every 2-4 weeks for established hide beetle infestations. Bedlam is water based, can be applied to carpeting, hardwood floors, animal mounts, etc. and will kill both adults and larvae within one day. But Bedlam contains a growth regulator which will effectively prevent eggs from developing. This is a good additive and insures the life cycle can be broken. 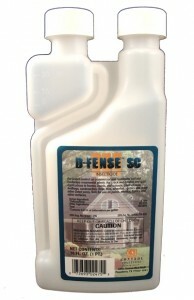 Now if the area you need to treat is large with a lot of carpet, you should consider DEFENSE SC and NYLAR. These two products need to be mixed in any standard PUMP SPRAYER and then applied to the areas you want to protect at a rate of 1 gallon of spray for every 800 sq/ft of surface area. Add .75 oz of Defense per gallon of water. Expect to get about 800 sq/ft of coverage per mixed gallon of product. This will kill active adults and keep them off treated areas. Focus on carpets, area rugs, floor mats and furniture. Be sure to add 1 oz of Nylar to the same tank mix. This won’t affect adults but will work on eggs by preventing them from becoming adults. Nylar also translocates so it will move to all areas in any room you treat. This insures you get complete coverage even if you don’t spray everything. Be sure to use a good PUMP SPRAYER to make the application; our private label sprayer includes a nozzle ideally suited for the job. Now the advantage of the liquid over the aerosol is that the liquid is more cost effective and can treat large areas quickly. But because its a liquid you’ll be spraying, its not always the best option for the actual taxidermy mounts. So to protect your trophies, go with either the Bedlam or another aerosol we have known as PT-PHANTOM. This aerosol will go a lot further compared to Bedlam and since it goes on “dry”, it can be used without fear of messing up your trophies like a liquid might do. 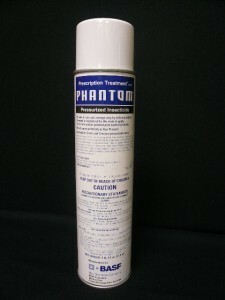 Phantom is odorless as well making it a good choice for trophy rooms in any home or cabin where an odorless treatment is generally the preferred option. In summary, use either the Bedlam Plus or the PT-Phantom for the trophy mounts and either to treat the surrounding room if the room is small. But if the room is large or if you have a whole house to treat, go with one of the aerosols for the mounts and the liquid duo for the rest of the room. Give us a call if you need more help. Our toll free is 1-800-877-7290 and we’re open 8:00 AM to 7:00 PM Mon-Thur; 8:30 AM to 5:00 PM Friday and 9:00 AM to 1:00 PM Saturday, Eastern Standard Time. Excellent information and the most helpful and detailed I’ve been able to find online for such products. Thanks so much for being here and doing this! I will order from the above links. Thanks for the kind comment! 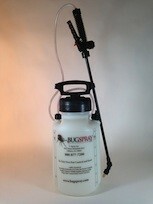 And please do remember to keep us in mind for all your pest control needs. No doubt we have the best products for doing pest control and when it comes to advice on how to best use the right products? Well, I’m 100% sure we can help there too. Are the taxidermy treatment sprays non-toxic for kids?